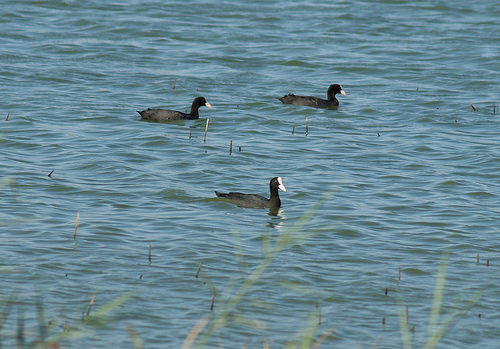 The Coot is one of the most common birds, often seen in parks. It looks like the Moorhen, but has a remarkable white forehead. In spring it will defend its nest and young fanatically. When a duck comes too close, it will loudly protest. 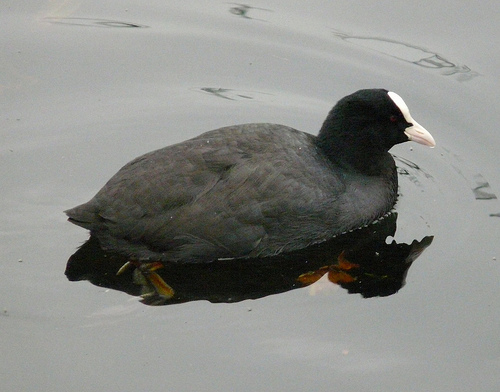 The Coot has a white spot on the forehead. The Moorhen's beak has a red base.